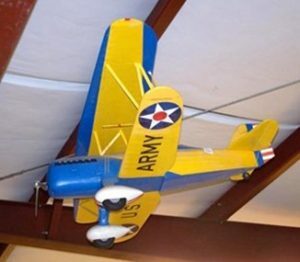 This model represents the Curtiss P-6E “Hawk” which was an American single-engine biplane fighter introduced into service in the late 1920’s with the United States Army Air Corps and operated until the late 1930’s prior to the outbreak of World War II. 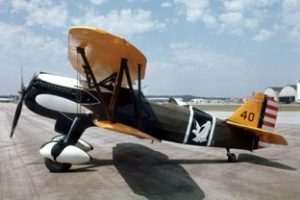 Beginning in 1922, Curtiss began the design on the Curtiss Hawk line. They were produced in two categories, Pursuits and Advanced Trainers. Curtiss’s plan was to create a demand by virtue of the Hawk’s superiority. After demonstrating the Hawk to the US Army Service, they were impressed enough to buy the prototype and to order two additional aircraft. When initial trials were completed, an order for 25 aircraft was placed.